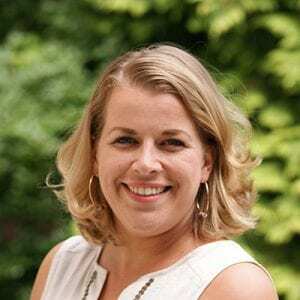 Linda holds a master’s degree from Wageningen University with a specialisation on the environmental impact and value chains of international food production and fisheries. As project manager she is involved in multiple projects, such as HortiTechIndia, FoodTechAfrica and Kenya Market Led Aquaculture Programme (KMAP), where she adds value with her agricultural experience. Linda has been closely involved in several international agro-food projects. She has experience working for NGO’s in the field of certification of food and agro-commodities, as well as working for a number of international research institutes. She has lived and worked in India, where she developed a sense for commercial value chain integration from producer to consumer. Schouten is a Dutch family company specialized in plant-based protein foods. Their product range is versatile and applied in a broad assortment of products and countries. Products can be based on beans, nuts, seeds, soy, wheat, chickpeas and lentils and serve as a healthy and sustainable source of protein. India knows a large population of vegetarians, has an increasing market for ready to eat products and a growing demand for proteins. Larive supported Schouten with the application for a DHI grant and supported Schouten with the execution of the granted pre-investment study in India. This resulted in a financial model to support the business case of the investment, as well as a partnership to establish a production facility. With the professional help of Larive a good feasibility study has been carried out. you have done a good job! Henk, CEO Schouten Europe B.V.
MBFH (Miami Beach Flamingo Hunters) is a leading Dutch organizer of music events with a strong focus on the EDM sector (Electronic Dance Music). Events organized by MBFH have attracted over 250.000 visitors. Whereas most competitors have expanded beyond Europe by moving into the United States, MBFH worked with Larive to realize their ambition to grow in the Asian market instead and be a first mover in high-quality EDM events. MBFH requested Larive to assist with the realization of a demonstration EDM project in Indonesia. This project was to set the bar in terms of quality, execution and performance for all future project and lay a foundation for MBFH to grow their business in Asia. Larive assisted with successfully attracting grant financing for this high-risk investment projects as well as project management. The project realized direct spinoff including full time positions for the booking agency, the resident DJ, the resident VJ and assignments for the organization of new EDM festivals. FoodTechAfrica is a Public Private Partnership combining the strengths of Dutch agro-food companies, knowledge institutes, governmental agencies and their East-African counterparts to improve food security in East Africa through the establishment of a fully integrated aquaculture value chain. Almex, Dinnissen, Fishion, Best Fresh Fish, Holland Aqua, KMFRI, Lattice Consulting, Nutreco (Skretting), Ottevanger Milling Engineers, Unga Group, Viqon Water Solutions, Wageningen UR, the Ministry of Foreign Affairs of the Netherlands, . The International Fund for Agricultural Development (IFAD) is a specialised agency of the United Nations dedicated to eradicating rural poverty in developing countries. In Kenya, the fund invests in the development of the aquaculture sector. Larive supported IFAD with a market survey on the status of the Kenyan aquaculture sector and main impediments to growth. Background on recent developments in the aquaculture value chain in Kenya. Estimate of current demand for aquaculture fish species by type of market. Analysis future demand and gap in supply by fish species and type of market in Kenya. Potential for export farmed fish. Stocktaking of key technological alternatives for fish farming at small holder level. Analysis of the key constraints and opportunities of the aquaculture sector. Key recommendations for the investment in smallholder aquaculture in Kenya.